Whether with access control, ID cards, gift cards or customer cards: Counterfeit and tamper protection play a key role in plastic card production. Hologram cards offer a cost-effective and long term method of protecting your cards against counterfeiting and likewise give your cards an optical upgrading. No other security method, like guilloche, microtext, embossing or a QR-code, boasts an equal security standard. Holograms are ideal for an optical improvement of your cards. They reinforce your plastic cards with a completely individual and exquisite design and therefore are considered a popular marketing tool. Get your individual hologram cards offer now! Holograms are known as three-dimensional pictures, which change their perspective with each time you look at them from another viewing angle. The production of holograms is very complicated, so that they are practically uncopyable. Hologram cards can be found in the financial sector (credit cards), in ticketing (season- and VIP-cards), in companies (employee badges) or state documents (identity cards). 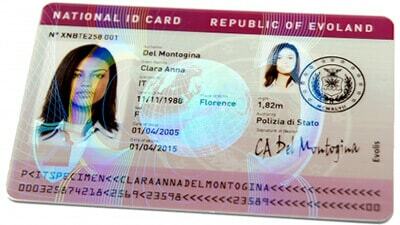 It is possible to apply self-designed holograms on your plastic cards, f.e. your company logo. You can laminate your holograms either entirely over your whole plastic cards, or in form of small, square patch-holograms. For plastic cards which are being produced in offset printing process, it is advisable to use so called embossed holograms. They are stamped directly and irreversible on your cards. If you want to update your plastic cards with an hologram on your own (subsequently), you can do so with an retransfer plastic card printer, like the HID FARGO HDP5000. 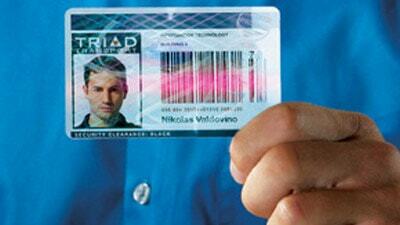 Hologram cards directly from security experts! If you are interested in hologram cards, we suggest you the consulting of our security experts, to determine the best procedure possible. You can also request a cost-free and nonbinding offer from us. We are looking forward to it!